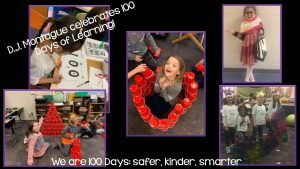 DJ Montague Celebrates the 100th Day of School! 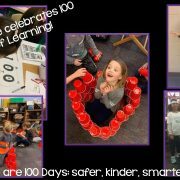 Students took part in a variety of activities to celebrate 100 days of school on February 19th. Students have grown so much and we can’t wait to see where the rest of the year takes us! 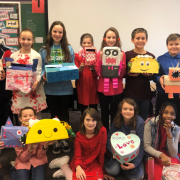 https://wjccschools.org/djm/wp-content/uploads/sites/15/2019/02/Slide1-e1550763886159.jpg 155 275 Amy Mabe https://wjccschools.org/djm/wp-content/uploads/sites/15/2014/05/logo.png Amy Mabe2019-02-21 10:45:462019-02-21 10:46:16DJ Montague Celebrates the 100th Day of School! 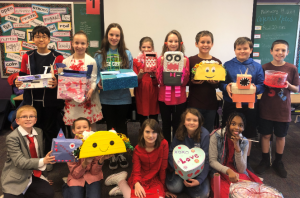 Fifth Graders showed their creativity last week while decorating Valentine’s Day boxes. So impressed with all the great ideas.